Almost 1,800 further education and sixth form college students will be heading to Northumbria University this weekend to take part in the AoC Sport National Championships 2016. 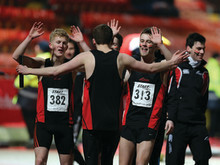 The University’s sports facilities, which were recently ranked the joint 4th best in the UK, will be used during the three-day event which runs across Newcastle, Sunderland and Gateshead from Friday 15 to Sunday 17 April. Events will take place across 15 different sports – including badminton, football, swimming, tennis, cross country, cricket and golf. 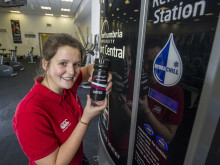 Northumbria’s flagship Sport Central will be the venue for the main opening ceremony on Friday night, as well as the basketball, netball and squash events. 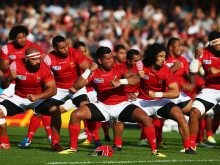 The University’s outdoor pitches at Bullocksteads, which were recently used by the Tongan national team in preparation for their Rugby World Cup matches at St James’ Park, will be used for rugby union matches and its Coach Lane Campus will play host to football, hockey and trampolining events. 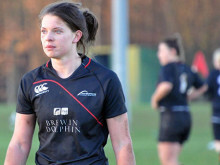 Northumbria students will also be supporting the Championships across a number of voluntary roles. 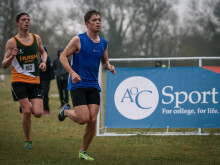 Now entering their 38th year, the AoC National Championships are a celebration of competitive sport in further education and sixth form colleges, providing recognition, enjoyment and a unique opportunity for students to compete. AoC Sport Managing Director, Marcus Kingwell, said: “We are really excited that this year’s National Championships are almost upon us. 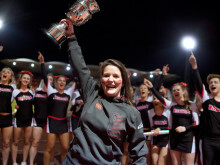 A lot of work has gone into the planning and preparation for the event in partnership with Tyne and Wear Sport, and we are certain the 2016 Championships will be the biggest and best showcase of college sport to date. “The venues which will host the different sports look fantastic and will provide the students with excellent facilities befitting of the occasion. 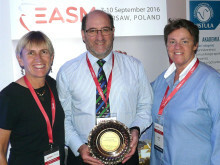 Northumbria University’s Director of Sport, Colin Stromsoy, added: “Northumbria University is now firmly established as one of the UK’s leading universities for sport and accordingly we are delighted to be hosting the AoC Sport National Championships this year. “The event is an exciting opportunity for us to bring some of the country’s most talented young athletes to the University and to showcase our sporting facilities and services. Sport Central is a fantastic venue for the opening ceremony which will kick-start an exciting weekend of competition across all of our university sport facilities. 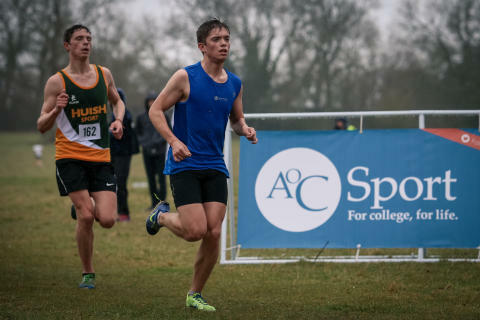 College teams and individual competitors can qualify to represent their region at the Championships through regional tournaments hosted throughout the academic year by AoC Sport. The Championships are being run in partnership with The Tyne & Wear Consortium, which includes Tyne & Wear Sport, Northumbria University, Newcastle Gateshead Initiative and Nirvana Europe.